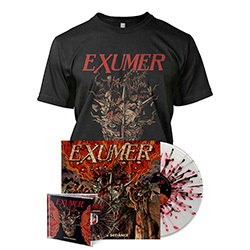 The previous single, “Raptor”, and the video for the title track can be viewed at: metalblade.com/exumer. The “Hostile Defiance” clip was created by renowned cover artist Costin Chioreanu (At The Gates, Voivod, etc. 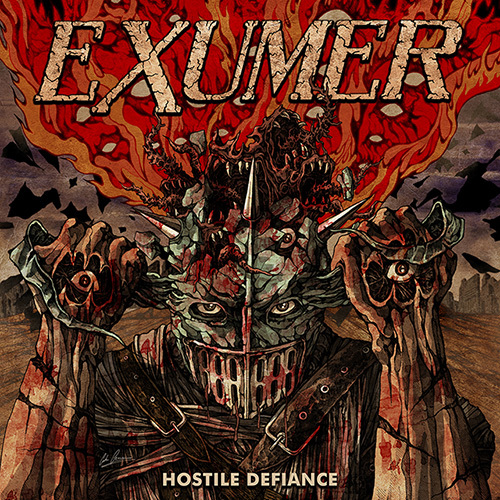 ), who also made the album artwork and layout for Hostile Defiance.